Q: There is the possibility in the menu that an item has access control, that is is visible or not depending of the user? Q: Also, when viewing the webpage with the dhtml list menu, my browser tells me that it is blocking scripts and ActiveX applications. I have to override it. Is there a way to prevent this so my customers don't get this message, or will it go away when I post it to my domain? 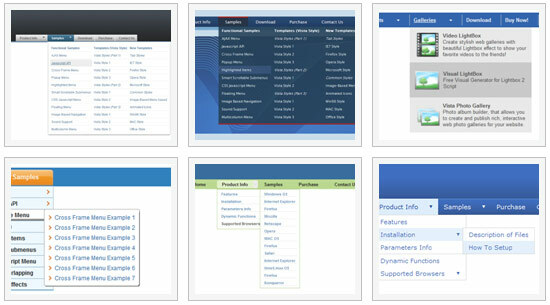 You may be glad to know that there will be another horizontal flashmenu for ... 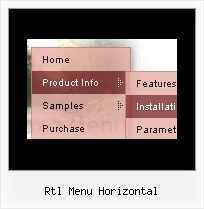 I really like your menus, can you make a rtl possibilities? Horizontal scroll bar on vBulletin forum?? ?